There are an estimated 6,934,000 Yemeni Arabs living in the world today. These tribal people are scattered throughout 16 different countries, but the majority of them live in Yemen. Within their social structure are four classes of people: the wealthy, the tribesmen, the merchants and craftsmen, and the slaves. These classes are very predominant and can be distinguished by the types of clothing worn. This people group lives in fortress-like villages and elaborately decorated flat-roofed houses. Social life is very important to Arabs, and they share a daily coffee time by sitting on the floor and drinking from cups without handles. Their diet consists of wheat bread and porridge made with boiled meat or chicken. 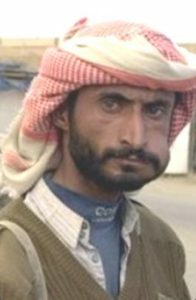 Almost all of the Yemeni Arabs are Muslims and are quite fanatical in practice. There are less than 5,000 known believers in Yemen and no Bible in their language. Who will reach these precious souls with the Gospel?